Our Chesterfield Minibus Hire 12-seater minibus is ideally suited for small groups, to make airport transfers, shopping trips, sightseeing excursions, attending concerts or other events, to attend birthday parties, for nights out trips, for stag and hen nights, to partake in funerals, and for a host of other purposes. 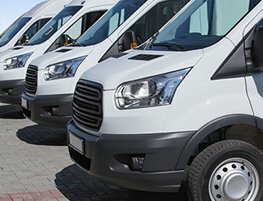 Like all our Chesterfield minibus hire vehicles, our 12-seaters come fully loaded with the latest accessories. These vehicles are new models from popular coach makers such as Ford, Mercedes, Volkswagen, and comply with all safety and environmental standards in vogue. All our vehicles have air-conditioning and music system. Passengers can relax in the plush seats. These vehicles offer a smooth ride, making it ideal for even long trips. The small 12-seaters are easily manoeuvrable. The skilled drivers, who come with these vehicles, are adept at taking deviations, to escape from traffic blocks, and to ensure you reach your destination in the fastest possible time. All our drivers are locals, who know the region well. They are also trained in safe driving practices, to ensure speed and agility do not come at the cost of safety.